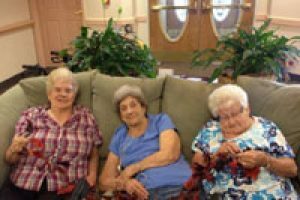 Future residents and family members of residents at PeachTree Place Assisted Living Community want to be sure that members of our Ogden-based community have plenty of arts and crafts to keep them busy and active during their stay with us. Keeping our minds sharp and our bodies moving is vital as we age and move into the later years of our lives. The staff at PeachTree Place Assisted Living Community understands this and works diligently to foster an environment that encourages both mental and physical stimulation. 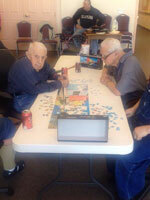 Rest assured, there are numerous activities to keep our seniors physically, mentally and spiritually active. 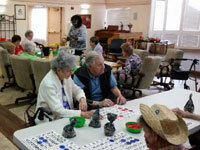 One way to keep our residents active is to offer a variety of entertaining hobbies, arts and crafts. 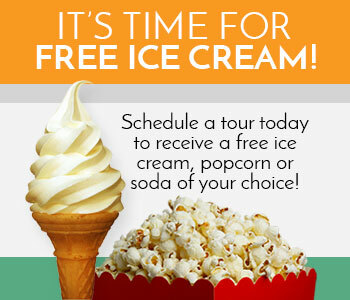 We do our best to prevent a sedentary lifestyle and to promote activity among seniors. Our residents have access to crochet materials so they can create handmade items for themselves, their friends, family and loved ones. The garden club allows our guests to stay in touch with nature and experience the fulfillment of growing something from the earth. We offer a book club and writing materials to feed the creative spirit within our residents, along with puzzles, bingo and board games to develop a sense of community and fellowship among residents. We even have the Girl Scouts stop by periodically to make crafts. Whatever you or your family member is interested in, there is always something available to meet their need and desire to remain active. We are all well aware that the benefits of staying active for seniors extend far beyond eliminating boredom. Activity for seniors doesn’t need to be strenuous to be beneficial. Benefits can be had with just a moderate amount of daily physical and mental activity. Physical activity helps seniors maintain their independence and minimizes the risk of fracturing bones from falls. Physical activity also reduces the risk of heart disease, high blood pressure, and diabetes. Mental stimulation, especially in a group setting, can reduce symptoms of anxiety and depression, and can increase feelings of well-being and promote a healthy attitude. Participating in arts and crafts can also help reduce stress and improve some aspects of cognitive function. We understand the benefits our members receive due to the activities we provide and we encourage every resident to get involved. For more information about the services we provide, or to discuss options for housing with PeachTree Place Assisted Living Community, please call and speak with one of our friendly staff members today.